Product #15904 | SKU A89LW-KIT | 0.0 (no ratings yet) Thanks for your rating! The Shure A89LW-Kit Windshield Kit is a joint effort between Shure and Rycote. 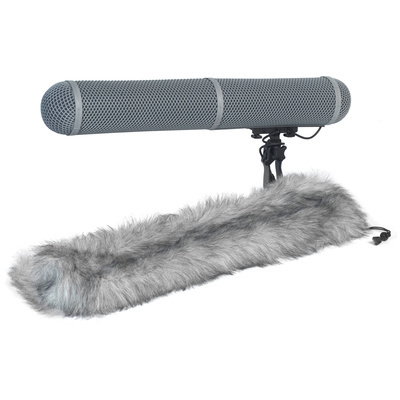 The kit is comprised to provide maximum wind noise protection with the Shure VP89 large shotgun microphone. The A89LW-Kit Windshield Kit provides up to -38dB of wind noise attenuation and includes a modular windshield (blimp), synthetic fur windjammer and handheld lyre suspension system. The kit may be hand held or mounted to a boompole, and the suspension itself provides a -25dB of protection against handling and structure born noise.